In Chapter 1, it is stated that a traditional way of increasing agricultural production is by means of land and water engineering. After a few decades of improving the conditions in favor of people and agriculture, a new view of this matter has arisen, namely the use of the resources of this earth in a sustainable way . If we continue to produce in the same way as we have since the start of modern agriculture, the soil will be exhausted and then it will be impossible to produce food, resources for shelter, and other products that are necessary to sustain human health, safety, and welfare. It is, therefore, necessary to look well at how we use this earth and its resources, if we do not want to get ourselves (further) into trouble. One way to do this, is to watch closely how we use the earth. Good agricultural soils are scarce, and so, we have to use them in the best, most sustainable way. We have to determine how intensively a soil can be used, not only agriculturally, but also for other land uses such as housing and recreation, and how much we will gain from that specific land use, economically and socially. A combination of different land uses should be made in a way that provides for all desired products, and whereby it will still possible to use the land in the same or any other way in the future. This can be achieved through careful planning of the uses of land and water. This chapter explains land- and water-use planning, what the goals are, and the planning process. • an accompanying text that explains the symbols used on the map. This is discussed in more detail in Section 2.1.3. The wishes of the people involved are not always clear and may not be presented in the actual land-use plan. These ideas are necessary to start the land-use planning process and continue to the end. Without these ideas and thoughts, the process will stop quickly after it has started. The thoughts and wishes are needed to make decisions and to proceed to the next step in the planning process. To be able to make right decisions, as part of the planning process, requires experience in planning. The dictonary  gives for "planned, planning" (-v) the following definitions: " 1) arrange beforehand; form a plan, 2a) design, b) make a plan of (an existing buiding, an area, etc), 3) in accordance with a plan (his planned arrival) and 4) make plans." Meanings 1,2, and 4 refer to the planning itself, the whole process of thinking of solutions to a problem. Meaning 3 refers to planned; the past tense shows that this meaning only exists after the planning is completed. In land- and water-use planning, meaning 3 is a very important part of the whole planning process. After the planning is completed, after the development trends are determined and presented in land-use plans and the physical changes in the area are made, one has to check whether the proposed and intended improvements have taken place, if the changes have been made in accordance with the plan. This is called "evaluation." More can be read about this in Section 2.1.3, Step 10. Figure 2.1. The hydrological cycle. Source: . people. It became the land use "nature," by the people's choice to preserve the vegetation and enjoy it. All activities on the surface of the earth can be called land use. Almost everything can be used by people, socially or ecomomically, and has been given a name. People have chosen to preserve it in a natural state or to try to change it for themselves. As a result, the surface of the earth is assigned a land use. Water use is a little different from land use. The surface water is sometimes there naturally (oceans, seas, rivers) and is sometimes created by people. Humans are always a part of the hydrological cycle (Fig. 2.1) and therefore have a function or use. 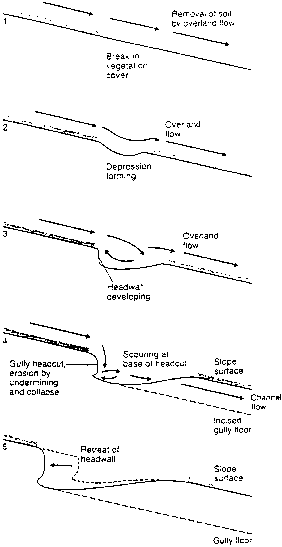 A main function of streams is water drainage. Streams discharge the superfluous water from an area and this is stored in the lakes, seas, and oceans. In this way, mankind does not have an active role; it happens by nature. What people can do is interfere and make an area drier or wetter (by artificial drainage or irrigation). In this sense, it can be called water use because a choice has to be made about what to do with this water. People depend a great deal on water: The use it for drinking, irrigation, and in industries. Bigger streams, seas, oceans, and lakes are used for transport and fisheries. It is also in limited supply, especially freshwater. Therefore, it is important to think about what we do with our water and how we do it. In many areas, there is a water shortage, which means that the area cannot function to its best abilities, in both socioeconomic and technical senses. The area cannot produce the products needed for survival of people, such as food, fuel, and shelter. This is the case in deserts and in many semiarid environments. In other areas, there is too much water, which also causes problems. 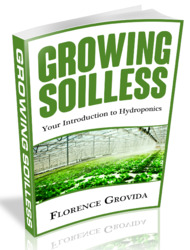 For example, roots of plants drown in groundwater, which causes production loses. These examples show that the shortage or surplus of water is linked to the land use. The land use determines how much water is needed. This is why water also should be a part of land-use planning . The first concern of water-use planning is the state of the groundwater. The use of surface water for fisheries and transport also can be a topic for land-use planning. In addition to the water quantity, water quality is also important. If water is polluted, it cannot be used for drinking, for example. Also, a natural ground can be damaged by polluted water. Land- and water-use planning can play important roles in the prevention and solution of these problems. One has to think carefully about proposed land uses, especially the effects on surface water and groundwater and on other land uses. After these explanations of the main aspects of the phrase "land- and water-use planning," a description and definition of the concept can be provided. The process can be described briefly as follows: Take the problems and potential of an area as bases for land- and water-use planning. Which improvements are necessary to get the maximum profit for every possible land use? What are the desired land uses? What are the different possibilities (options) for solving the problems in the area? What are the necessary measures needed in each option? Make a choice for an option, implement the plan, and evaluate it during the planning process and afterward. With this description a definition can be made: Land-use planning is the process of systematically describing the problems in an defined area, the way in which the problems can be solved, the combination of these solutions into plan options, and the weighing of these options to come finally to the economically and socially optimal use of the land and its resources. "Systematically" in the definition means that, in every situation, in principal, the same planning process is followed. In Section 2.1.3, a description of the land-use planning process is given. This cannot be adopted gratuitously in every situation. A land-use planner always has to decide, for every situation, if all of the described steps are necessary, how they must be filled in, and if an extra step is needed. The political situation in a country with its existing laws also will influence the planning process. Some countries have very extensive planning laws, for example, several countries in northwestern Europe and in Asia. The planning laws can order that everyone who has any interest in the land use be consulted or be given the opportunity to participate in the process.